BEAUTIFUL, PREMIUM, EXECUTIVE & VACATION CONDOS! Extremely clean, beautifully equipped, warmly welcoming for vacationing guests or business executives, whether alone or with friends or family, they are a perfect secure home base option for your vacation or assignment in Costa Rica. 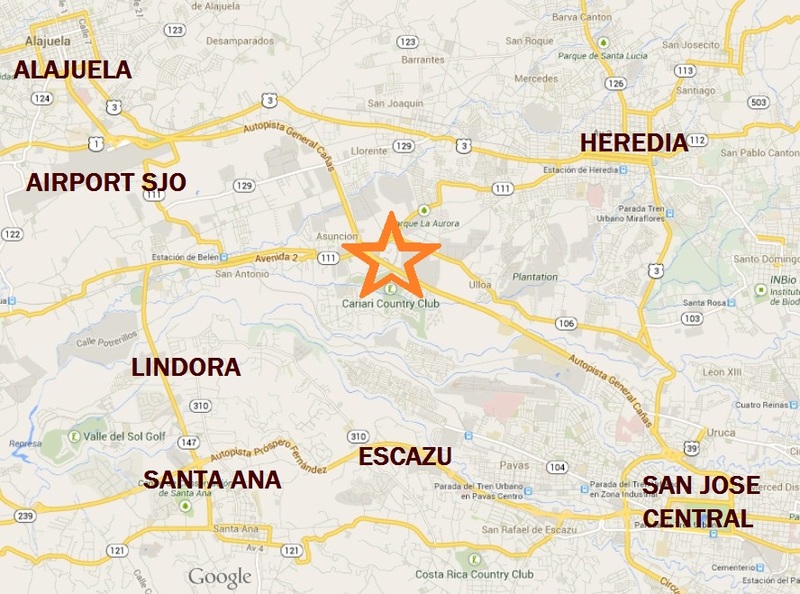 These condos are centrally located in this very safe and upper class area on the main expressway about half way between San Jose International Airport and the traditional San Jose Capital Downtown, and are close to the Plaza Real Cariari Mall, Business Centers (Zonas Francas) & the Costa Rican National Convention Center. It's an incredible location with such plentiful shopping, eating, taxis and buses. Rental Cars are NOT Required. You can walk to most places, as well as major bus stops in 7 to 12 minutes. offering you great customer service and value!